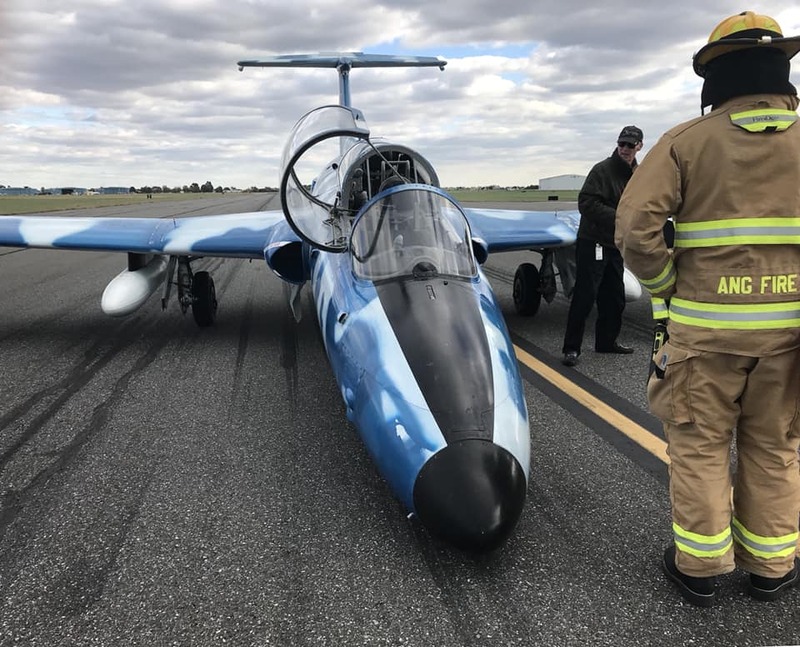 Aero L-29 Delfín emergency Nose Gear Up Landing at New Castle Air National Guard Base. 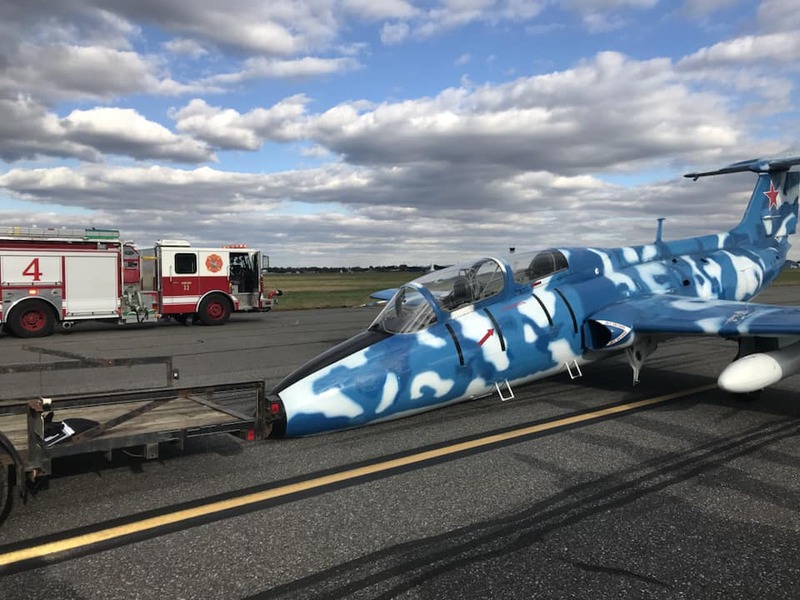 According to Station 33 – Delaware Air Guard Fire Department Facebook Page on Oct. 24, 2018, at approximately 1537 hours, Station 33 was notified by Wilmington Tower of an L-29A aircraft that called an in-flight emergency with an ETA of 3 minutes. An Alert II was dispatched by Alarm Room and Station 33 (RED units as they’re referred to on the airport) immediately responded to and arrived at their standby locations within 90 seconds. 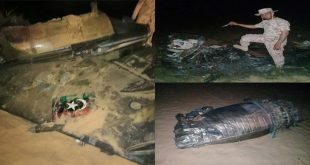 While units were negotiating the airfield, the aircraft landed with nose gear up and came to an immediate stop. RED units set up on the aircraft to find no smoke/fire and one pilot with no injuries, thankfully. This allowed for a reduction in response. 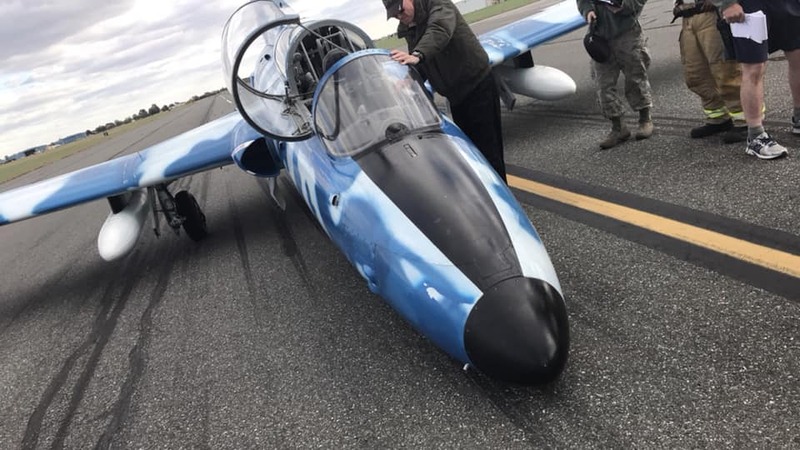 The Aero L-29 Delfín is a military jet trainer developed and manufactured by Czechoslovakian aviation manufacturer Aero Vodochody. The L-29 is the country’s first locally designed and constructed jet aircraft, as well as likely being the biggest aircraft industrial programme to take place in any of the Council for Mutual Economic Assistance (COMECON) countries except the Soviet Union. Station 33 provides emergency services for the Delaware Air National Guard military installation, the New Castle County Airport, and the surrounding areas.